This classic local history chronicles the settlement of Perth Amboy, Woodbridge and Piscataway from the early 1700s through the Revolution. 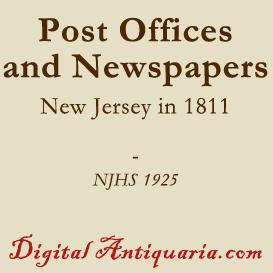 The narrative begins with the earliest records of grants and habitation in the area and its appointment as the capital city and primary port of the proprietary colony of East Jersey. Detailed discussions of the primary families and their descendants as well as the public institutions that served the community follow. Considerable effort is devoted to recording occurrences during the French and Indian War and the American Revolution, including accounts not to be found in any other historical work. 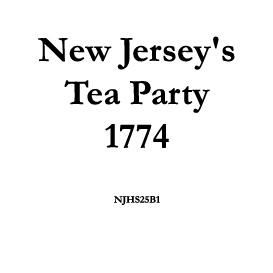 Although rarely seen and never republished, this book is one of the most frequently-cited histories of New Jersey''s colonial period. 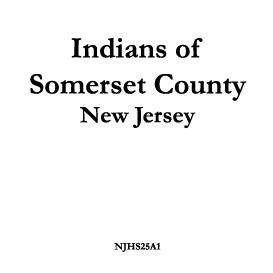 Originally published in 1856 as "Contributions to the Early History of Perth Amboy and Adjoining Country - With Sketches of Men and Events in New Jersey During the Provincial Era," this work was Mr. Whitehead''s first effort to combine anecdotal and manuscript sources with official public records. Over the course of the next sixty years, Whitehead would earn the reputation as New Jersey''s foremost historian, writing dozens of historical essays for the "Proceedings" of the New Jersey Historical Society and editing several key volumes of the "New Jersey Archives." The Digital Edition (Adobe PDF 1.4) is published in portrait orientation; fully-searchable, fully-printable.